I finished reading Brenda Tharp’s Creative Nature & Outdoor Photography book last weekend. I closed it up and thought to myself what an excellent book for people who have been doing photography for awhile, understand the numbers of photography and take good photographs. Those people are like me. Looking for something or someone to show them the next step to go beyond a “good picture”. I, also, thought this book makes a good follow up to another book I have read and will tell you about it soon. Creative Nature & Outdoor Photography makes it easy to understand a lot of photographic theories and rules you may have read about and practiced. Maybe not knowing the “why” of them. The first six chapters explain the direction and quality of light, visual design, motion and composition. The author uses her own photographs to illustrate the photographic principles she talks about. The photos themselves are beautiful and I didn’t find any fault with how they were used. Nicely convening what the text explained. This book is only 157 pages long but the photos teach as much as the text. Ms. Tharp lists some photo exercises to help you learn, too. Easy to follow instructions on how to open your mind to seeing elements photographers use to tell stories in their works. Something I found very valuable was the kind of questions she asks herself before taking a photo. If this is something you may not do, it is a good habit to learn. Her list of questions was longer than mine. I now will ask myself if there’s a creative technique to better express my vision of the scene before me. I tend to work fast and get my photos without too much thought to being creative. I hope to improve on that this year. The last five chapters builds on all the information in the first six and adds more ideas, techniques and information on how to stretch yourself photographically. She shows you fun and interesting ways to open up your creative side while still remembering the nuts and bolts which make a good photograph. That is the key I have been looking for. At times I have opened up the door a crack to be stopped. Ms. Tharp finishes with a way to self-evaluate your work which is a very hard thing to do for most of us. For less than $20 (at Amazon.com), you get the experience of an outdoor professional photographer right at your fingertips. The book can take a short or long time to read depending on how long you linger over the incredible photographs. It is a book I will re-read in full or a chapter at a time often. An excellent reference for even the most advanced photographer. As an example, if you would return to my first post for this week, View 110: A Cold January Day, the three photos I used came about as I did some of the exercises in the book. The first photo, Ski Trail, is using lines to lead you to the horizon. The second photo is an example of dominance in a photo. The last has the shape of a light post to anchor the sunset beyond. Things all discussed in the book and found during a walk through a park on a cold January day. If someone came to me and was ready to really get into photography. Owns a digital SLR or advanced Point and Shoot camera. And, was willing to invest some time into learning the equipment and the craft. Here are the two books I would tell them to get, read and reference often. First, Understanding Exposure by Bryan Peterson. 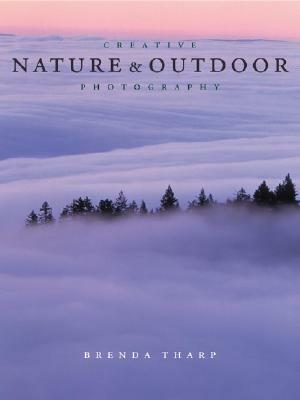 Second, this book, Creative Nature & Outdoor Photography by Brenda Tharp. These two books read in that order, I believe, would give any person the knowledge needed to enjoy photography and create photographs they would be proud to share with the World. This entry was posted in Photography and tagged book review, brenda tharp, improve, learn, Nature, outdoor, Photography, read. Bookmark the permalink. Great review, Scott! This book was already on my “wish list”.